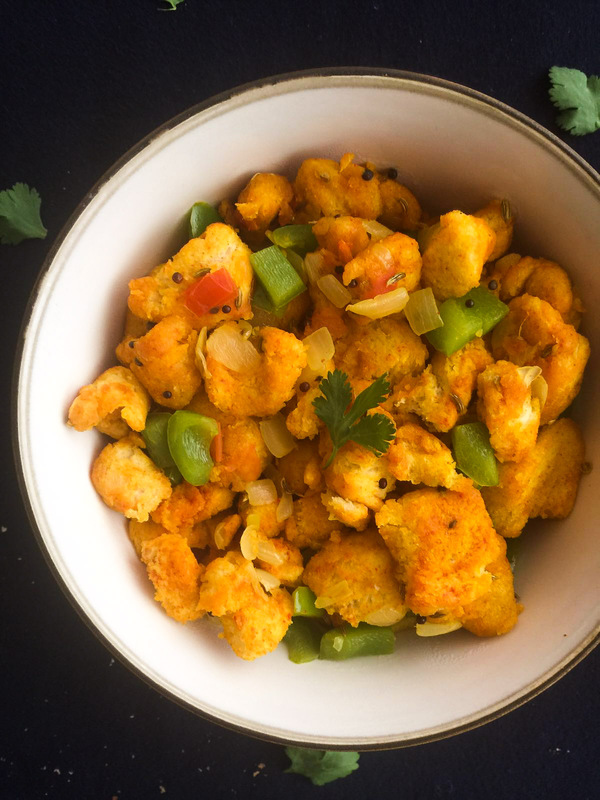 Hi friends, Today I'm gonna share simple and quick recipe. I had some left over breads in my pantry. So I decided to make a savory dish out of it. 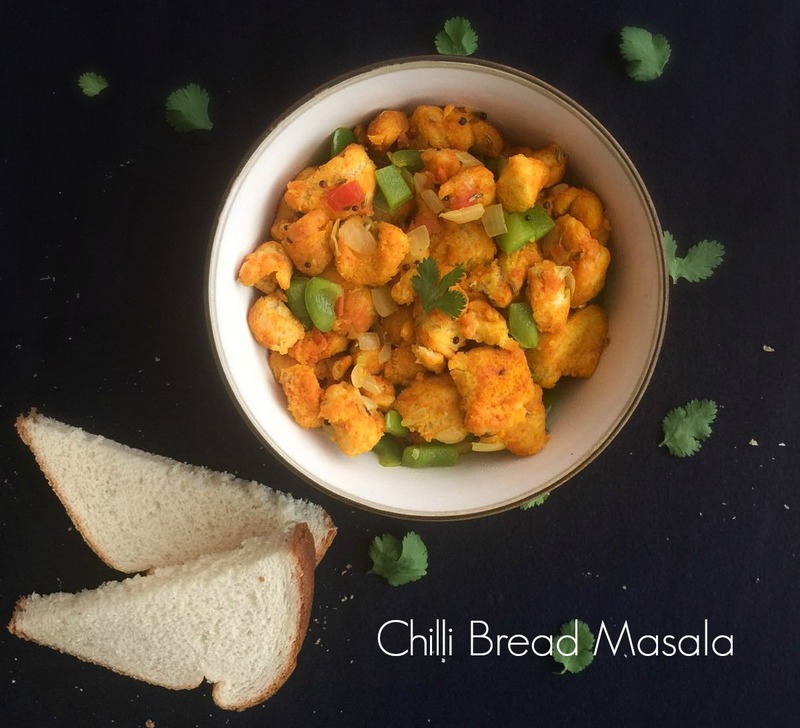 Here comes "Bread Masala recipe". For variation, while cooking tomatoes add cooked veggies like corn, carrot, broccoli, peas to it. I'm sure it would be great with more veggies. You can have this for breakfast or snack. Try it out and tell me how it turns out . 6 slices of bread, edges removed, cut into small squares. Take bread in a large mixing bowl, add chilli powder, turmeric powder and salt. Mix them all well. 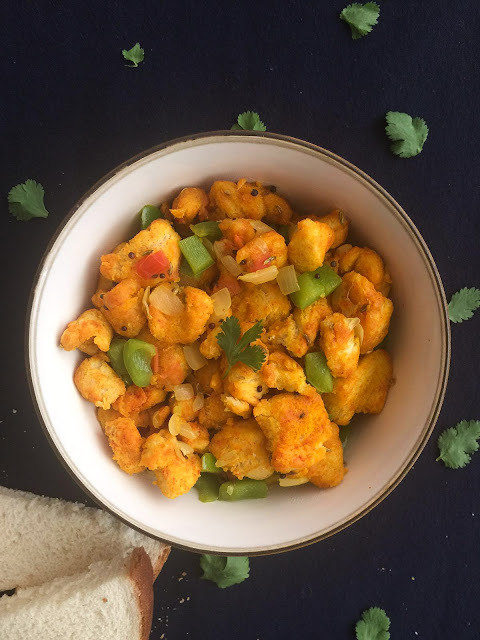 (for mixing , close the bowl with plate and shake it well until bread coated well with spices). Set aside. Heat a tbsp of oil in deep wide pan over medium heat. Add mustard seed, ginger and fennel seed in heated oil. Once it starts to splutter, add chopped onion, and saute until it turn to transparent. Add tomato and sauce for a minute. Now add the spice coated bread. Mix and close the lid cook for 7 minutes by stirring occasionally. That's all..Remove it from flame and garnish with some cilantro and serve hot..